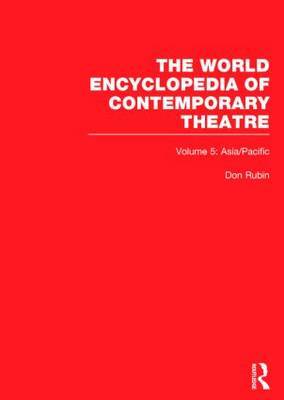 This volume featrues over 250,000 words and more than 125 photographs identifying and defining theatre in more than 30 countries from India to Uzbekistan, from Thailand to New Zealand and featuring extensive documentation on contemporary Chinese, Japanese, Indian and Australian theatre. Tanokura"A welcome addition to available reference sources on the theatrical and performance arts of this vast and culturally diverse region." "This latest volume ...lives up to the high standards set by the previous volumes and continues to allow each country to define its own theatrical profile through the eyes of a native author...Because the encyclopedia is rich in specific detail--naming individuals, troupes, and forms, and giving dates, background material, influences, and analysis of evolution and change--it represents a starting point for any researcher, no matter how sophisticated.Recommended for academic and large public libraries." "This set will be a refreshing journey into unfamiliar territory for researchers and a welcome addition to scholarly theatre collections." "There is no current work of this magnitude ...an invaluable source of information.."